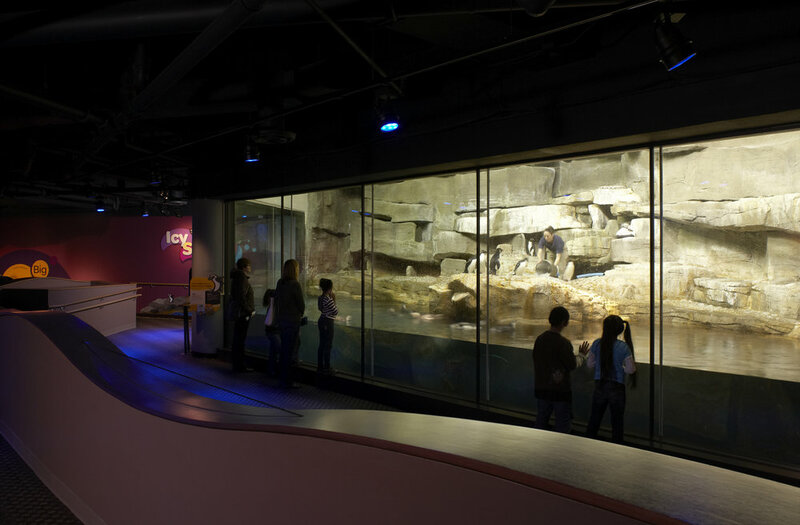 Shedd Aquarium Master Plan and Renovations — Valerio Dewalt Train Associates, Inc. Billed as “The World’s Aquarium,” the John G. Shedd Aquarium in Chicago is the largest indoor aquarium in the world. The core facility at the Shedd is the original 1929 building designed by Graham Anderson Probst and White. With significant additions in 1991 and 2001, the Shedd has maintained its position with periodic, well-executed exhibits and attractions. In 2004, VDT developed a five-year exhibit and facility master plan to ensure the continued success of the institution. The plan identified a need to refocus investment from bringing in new exhibits, to improving the visitor experience. 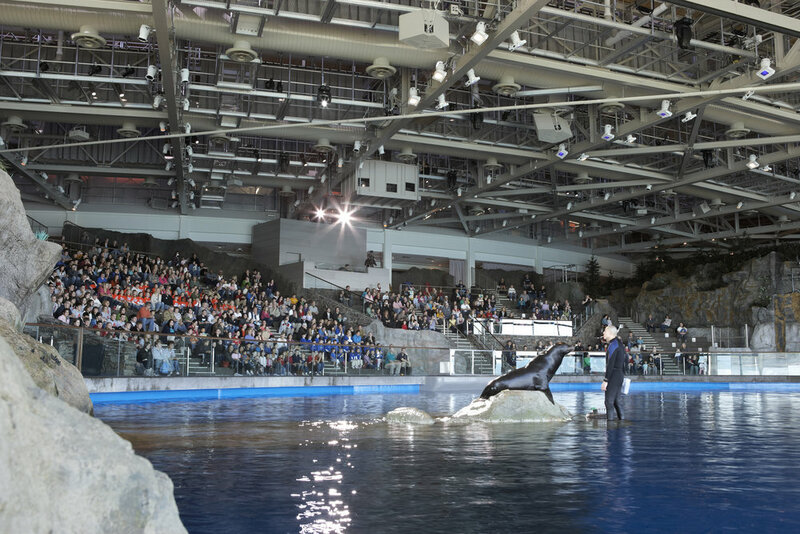 The result is the renovation of the existing Oceanarium, construction and renovation of 35,000 SF of exhibit areas, renovations to existing food services along with the addition of a new outdoor terrace, and updated guest services amenities. The master plan also identified the need to consolidate staff offices, which we’re previously spread throughout the facility. With the closing of the Oceanarium for renovations, we identified the opportunity to construct a new 24,000 SF workspace on the Oceanarium roof, which also allowed for the integration of rainwater collection.